After three straight years attending at least 100 high school football games in person, I fell just short of triple digits this year. Mostly due to my own decisions on which games to attend. I attended 97 high school football games. My wife, who I married earlier this year, though, managed to attend 90 of those games. Which puts her at 204 in the last two years. Of those 97 games, two were 8-man games in Iowa. Keeping with tradition, this is a breakdown of my travels. This year I’ve seen games in 10 different states. I saw games on 18 different weekends. My first game of the year was on August 20th in Bristol, Tennessee and the last game was on December 19th in Houston, Texas. I watched games in 47 different stadiums in 44 different cities in 10 different states. I saw 188 different teams from those 10 states. Only a handful of games this year did I miss kickoff. The longest was the Cardinal Mooney-Warren Harding game, where I missed the entire first quarter. In games I’ve attended, there was 4,750 points scored, for an average of 48.97 points per game (1.98/game less than last year). The cumulative score was 3,357 to 1,393 for an average score of 34.61-14.361 compared to the 34.43-15.53 from last year. In total, there were 10 shutouts and the most points scored was 64 by Newburgh (as opposed to 12 shutouts and 70 was the high last year). No games were called early due to weather, thankfully. Most games witnessed in one week was 12 in Week 12 (Thursday through Saturday). Ten in Week 17. Nine in Week 2. Eight in Week 14 and six in Week 11. The fewest was in Week 15 only attending 3 games. Saw 167 different teams once. Saw Greenville (PA) eight times. Saw Bedford (OH), Conotton Valley (OH), Campbell Memorial (OH), Youngstown Cardinal Mooney (OH), Western Beaver (PA), New Brighton (PA), Neshannock (PA), Sharpsville (PA), Sharon (PA), and Magnolia (WV) twice each for a total of 178 different teams. Every year, I list my opinion on the quality of teams, fan support, state organization, etc, for the states I’ve seen games for in person. Once again, Texas is #1 in almost all measures. For the second straight year, I did not attend the Ohio state championships, nor did I see the Pennsylvania state championships. I’ll explain my scheduling later on. There’s no debate at the top. (1) Texas is, without a doubt, the most fan support. Even with games stuck in Houston, which seems to support HS Football less than the DFW area. (2) Ohio just comes out for the games each week. It’s the cultural thing to do. (3) Same with Pennsylvania, though lacking compared to when I was a kid. Partly due to the rural areas shrinking with aging populations not making it out to games the way they did before. Weather, was, overall pretty good. (4) My first time in Louisiana was enjoyable, though the stadium I did not like. The fans came out, even those from near the Arkansas border. A local rivalry between St. James and Lutcher fared well at the dome. The two metro schools were lacking, however. (5) For location and distance, Michigan draws very well for the Ford Field championship game. River Ishpeming, from the U.P. has brought a good crowd. (6) Iowa improved. But, I think that’s more the weather and matchups. And these are the semifinals. After making a trip once to the semifinals in Cedar Falls, I think fans aren’t as likely to return the very next weekend. (7) The Rec Bowl had a horrible crowd, though the crowd was decent for the smallish Death Valley Bowl. (8) West Virginia was a let down. Wheeling Park drew well to a championship game at their own venue, and St. Marys had a great crowd for their second home game at their new stadium, but the other two championship games and the two other WV games I attended were miniscule. Even by the standards of who was playing. (9) New York is New York. Great weather at the start of the season keeps fans away. Bad weather at the end of the season keeps fans away. And lastly, (10) Tennessee. One game, and it was a stadium I wanted to see, Bristol Municipal Stadium. However, the crowd was very sparse for a big matchup between Dobyns-Bennett and Tennessee. Not much to save overall. Ohio and PA are still up there. Texas is #1 barely in my book. Louisiana, for their title teams, had great teams, but horrible matchups that made it a bit of a let down. In the middle, Michigan, West Virginia, and Kentucky are close. Tennessee hasn’t ever impressed me overall and still hasn’t. Iowa is near the bottom. Good solid teams, but just won’t be able to win against teams from the states above them most of the time. And New York is, again, New York. Compared to years past, it’s odd to see me consider Texas so low. When they first started hosting 9 of 10 eleven-man championships (and later all ten) on the same weekend at the same venue, it was a great time. However, that was because of the unbelievable venue that is Cowboys/AT&T Stadium. This year’s games were held in Houston at NRG Stadium. And despite being an NFL stadium. It is just an NFL stadium. No different than any other venue. It is not AT&T Stadium, which is on an entirely different level. So, what’s #1? Iowa. The level of play may not be as high, but seeing twelve semifinals in three days is a fun experience. The stadium is domed and warm for an Iowa winter. It seats a decent amount for what the games draw. Great sightlines. And the games are competitive. No real blowouts out of the 12. One overtime. Many games within 20 points. Michigan is mostly the venue contributing to the high ranking. Again, a dome that makes winter game palatable. My wife’s key requirement for the later season games if the weather wasn’t good. The games in Detroit were also pretty good overall. The West Virginia Finals work due to overall cost. No parking cost. And the pre and mid-game entertainment is going to the casino that shares the same parking lot. The games were horrid, though. Only redeemed by hometown Wheeling Park winning their first ever title. Louisiana had tough matchups with nothing really entertaining. The stadium only opened the club level the second day for an increased cost. The seats are small. If you’re a big guy, you would hate games here. It’s 40 years old, and the seats, though replaced, weren’t done well and even the locals complained the post-Katrina rehab to the venue squeezed more seats in at the cost of the size of the seats. Good crowds and fan support, though. The Syracuse Kickoff Classic is only down low because the lack of air-conditioning. Some of the games were real bad, as well. Including the 64-0 Newburgh-Henninger game. The last three were doubleheaders. With the Rec Bowl being the worst. The home venue for Montgomery County has the home team face west into the sun. The game got moved up one hour, to stare even longer into the blazing sun. Overall, just a horrid venue that I’ll remember to avoid in the future. Again, I had more games than I wanted to limit it to, so had to make some decisions to get it down to a respectable Top 8. First game was 6-0 for a while, before Rome tied it late. Then, Nottingham scored with less than a minute to win it, 12-6. In the rain, Shenango and Neshannock were scoreless through the first half. Then, as the skies relented, the muddy running games gave way to some sloppy passing games. But, in a big suburban New Castle rivalry, Shenango snapped Neshannock’s regular season winning streak. The Thursday Stow-Hudson game just was good, competitive, good ending, big crowd, etc. Greenville-Reynolds turned into another great Backyard Brawl, with Greenville winning again. Gladbrook-Reinbeck/Denver was the first of both Overtime games to make this list. Just a great, competitive game that was tied late to setup overtime. Very next game that day was Akron-Westfield/Mount Ayr. Mount Ayr scored to take the lead, and then Akron-Westfield scored very late to setup a game-tying extra point. However, they went for two and won the game. Great finish. Detroit MLK was down 38-34 after Lowell looked to be firmly on their way to a state championship. A few plays, including a last second heave to the endzone that was caught set MLK’s side into delirium. And the final game is from Texas, North Shore was the better team, but Westlake made it exciting at the end, but North Shore scored in OT while Westlake came up short. Most of the shutouts, other than the 7-0 ones could be listed here. However, I narrowed it down to just miserable games. Mostly weather or venue related. First up is Chartiers-Houston at Western Beaver in a frequent rain. The Beavers just were taken to the woodshed. If only for a mercy rule and a lenient opponent, this would’ve been worse. But, it was their first touchdown of the year in garbage time. Summit Academy’s ‘field’ is basically just that. Located east of Butler, PA, it’s a reform school for adjudicated youth. Their ‘stadium’ is just two moveable bleachers on one side for the visitors. Luckily, there is a large hill sloping down from the road with a blacktopped landing that they set up some folding chairs. The trees give decent shade, but you’re stuck with endzone seating with some trees in your way. And with a pregnant wife, there was no bathrooms. Which is a horrible faux pax when chosing a game. 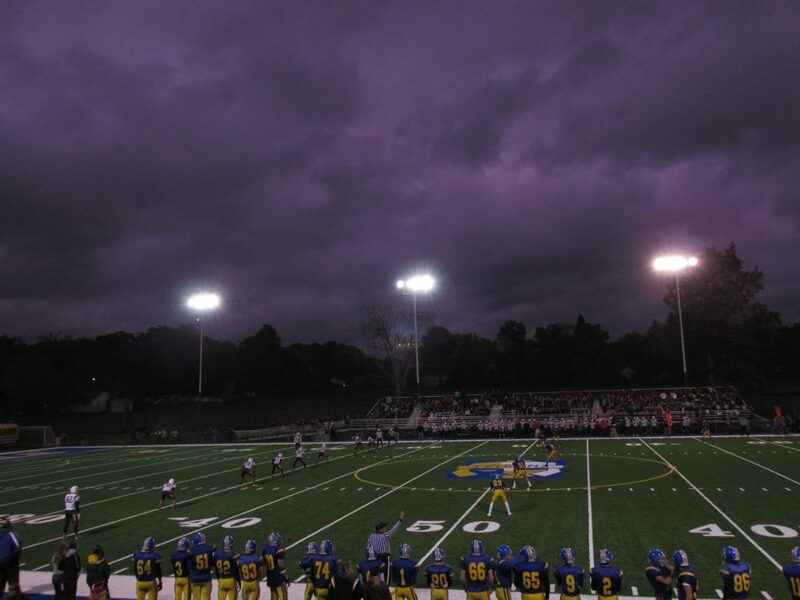 The Kane-ECC game was in a heavy, cold rain. It was a battle of unbeatens, but it just had little excitement as Kane was the only one to get some ball movement and score a few times. Wind destroyed my umbrella as well. I was soaked for days after this game. Just horrible. The first title game in West Virginia was just an uncompetitive game that had little excitement. And the last game, was in Texas, where George Ranch absolutely destroyed Lake Ridge. Both teams were making their first title game appearance as both were relatively new schools. Lake Ridge just didn’t belong in this game. For the sixth straight year, I can’t fathom trying to rank all the teams I saw myself. So again, I’m using calpreps again. Also, these teams are listed with calpreps naming conventions. I just didn’t feel like retyping them all. Without seeing the Ohio titles, there’s a glut of Texas teams at the top. Katy, by far, was the best team I saw. They obliterated Austin Westlake. Going through them, I didn’t really see anything that just stood out as very odd compared to how good I felt a particular team might be. At the low end, four Ohio schools round out the bottom. Given that non-Ohio/PA games tend to be playoff or championships, that’s not unexpected. I actually thought Beallsville was worse, though they have ample reasons why they had such a tough year. Dola Hardin Northern could’ve named the score, if they wanted to. And they’re only ranked #11935. Ashtabula St. John, though, is not a good team. Conotton Valley didn’t surprise me at the bottom. They lost badly to Bishop Donahue (#10194) and at home to Bishop Rosecrans (#11658). This was the fourth straight year seeing primarily Ohio or Pennsylvania games. Unlike in years past where I was trying to see ‘the most games’ I could in a year, my wife and I opted to see some different places and had to decide what to see some weeks. Because of that, I saw 30 fewer games than last year. Last year I met my wife just before the start of the high school football season. She attended 114 games with me. This year, prior to the season, we got married. Of the 97 games I saw, she was there for 90 of them. Which is impressive since she was pregnant the entire time with our first child. Her biggest issue was rainy weather. Otherwise, she was generally by my side. She was in Florida with her family during Week 3 and missed four games. She missed the Friay morning game at the Carrier Dome in Week 2. She missed the Warren JFK-Columbiana Crestview night game not feeling well. And, due to the rain stayed home for the Cardinal Mooney-Warren Harding game because the prospect of rain. We also missed a few games together due to not feeling well. Week 2 in Syracuse, we let early on Saturday before the fourth game. And to head home earlier, we left after only the second of three games. The finances are combined this year. So, it’s the total cost. As I didn’t let her spend money on the trips unlike last year when we were still just dating and she wanted to contribute. Her primary contribution is that she receives free gas through her employer. Which is a big positive. However, it’s only locally at one chain, so venturing outside of Pennsylvania or Ohio means purchasing gas. Our new car gets about 38mpg, so fuel costs were negligible this season unlike in the past. We also cut our total driving for the year from 21,190 miles last season to 12,840 miles this year. Last year we had a long trip to Iowa, Minnesota, Nebraska, and Illinois. Also a second trip to Syracuse and trips to MetLife Stadium and Hershey, PA. We also went to Cincinnati for Week 1 and the Crosstown Showdown. We passed on that this year. Week 14 was a short trip to Detroit. 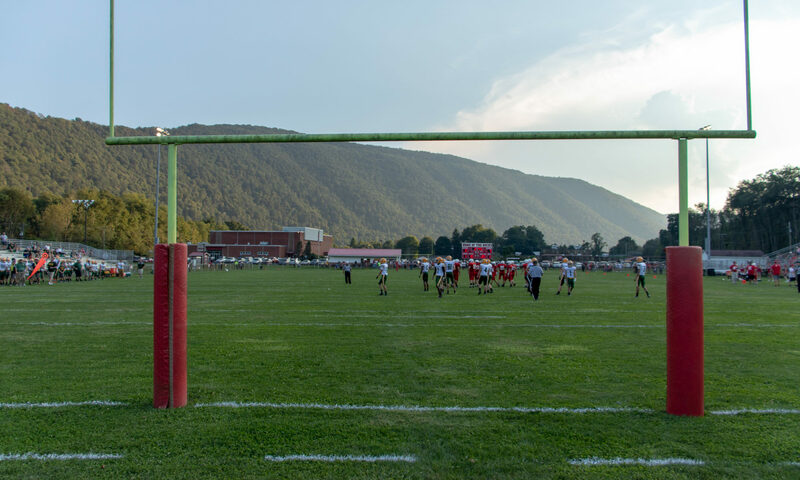 Week 15 was an even shorter trip to Wheeling, West Virginia. And Week 16 and Week 17 was a combined trip to New Orleans and Houston for two weekends. Of those 12,840 miles driven just for high school games, my wife drove probably no more than 1,000 of them. I spent a total of 8,007.88 to attend 97 high school football games as well as gas, food and parking for 6 Cleveland Browns games not counting the tickets. Which were an additional $1,400 for a grand total for the fall season of $9,407.88. The two regular season games I didn’t attend were the Bengals game (I was sick) and the 49ers game (was in New Orleans and had given them to a friend). As with last year, I hadn’t set a real plan on how many games to see. My wife and I decided we wanted to see games at different places than we had previously. Though, we both enjoyed the three games we saw at Iowa that we were determined to return. With a lackluster lineup, we opted to forego the Crosstown Showdown. This gave us an opportunity to see some games local to our new home: at Campbell and at Girard. For Saturday, we watched Beallsville and at night saw Bridgeport at venerable Perkins Field. This year, we opened the season with our honeymoon, which included a trip through Shenandoah National Park and the Blue Ridge Parkway. We saw a bear, some deer, and more birds than even Hitchcock would be comfortable with. Our first game was Tennessee v. Dobyns-Bennett at Bristol Municipal Stadium, which is known as the Stone Castle. It literally is built as a castle. It is an awesome venue and playing on Thursday thanks to the night race at Bristol Motor Speedway. As was all the other local games in the area. One neat quirk, was the weekend of my wife’s birthday, we spent the night in a train. A caboose, rather at The Caboose Motel in Titusville after seeing Greenville’s game against the Titusville Rockets. The next day we drove up through the Allegheny National Forest to Sheffield to see a game at one of my favorite venues; Wolverine Mountain. And lastly was the rainy ECC-Kane game that Saturday night. For the playoffs, we decided to stay close and see the Sharpsville-Greenville game on Friday, which meant only two games in Ralph WIlson Stadium on Thursday night. And an opportunity to see another interesting venue: War Memorial Stadium in Lisbon, Ohio for their playoff game against Brookfield. Week 12 was our trip to Iowa for their 12 state semifinals at the UNI-Dome. Which greeted us with a tornado warning. They games were fun, exciting, and the 16,000-seat dome works great for high school football. Week 13 was local and Week 14 was a short trip up to Detroit. We had planned a trip to Indianapolis for their six title games, but weren’t looking to travel much. I had already seen the Michigan Finals two years ago and wasn’t planning on returning. We decided on seeing the four WPIAL Finals until the weather decided for us to go to Detroit. With the short notice, we decided against Indiana. But, may do that next year. And then, we went small for Week 15. We decided against the Ohio title games because she had a doctor’s appointment that Friday morning and with our New Orleans-Houston trip upcoming, didn’t want to venture far. Having been to Wheeling Island before for games, I had yet to see their titles. So, we decided to see the three WVSSAC Championships and had a good time. Also, won some money at the Casino while there. The one odd thing was that they sold beer in the parking lot just outside the stadium for tailgaters. Beer was also allowed on the parking lot because it is the casino’s lot. And lastly was our two week trip to see the Louisiana and Texas championships. We also spent a few days in New Orleans exploring the city and the gulf and delta areas. Five years ago, I attended 55 games. I attended 73 in 2011. I attended 100 in 2012 and another 100 in 2013. Last year I attended 127 games. And this year another 97 for a total of 552 in six years or 497 in five years. So far, I’ve attended games in 32 different states with the addition of Louisiana. Pennsylvania, Ohio, West Virginia, Maryland, New York, New Jersey, Massachusetts, Michigan, Indiana, Illinois, Wisconsin, Minnesota, Iowa, Missouri, Kentucky, Tennessee, North Carolina, South Carolina, Georgia, Florida, Mississippi, Louisiana, Texas, Oklahoma, Nebraska, North Dakota, Montana, Wyoming, Colorado, New Mexico, Utah, and California. During this year’s travels, I’ve continued my push to visit every county in the United States. Of the 3,141 total, I’ve been to all but 266 of them, including 12 independent cities in Virginia. This year I’ve only completed two states: West Virginia and Georgia. Georgia, my 35th state, was during the drive down to New Orleans the remaining counties were mostly southwest of Atlanta and one up in the mountains I happened to not note on the map last year when returning Florida when I managed to finish West Virginia. I’ve decided to add a little interest to this with some travel recommendations and food options along the way. Generally, I’m cheap when it comes to hotels. My wife, though, is a little more picky and that makes booking a room a little more than the overall cost. For example, I’ve stayed in a hotel room in Time Square for $40 many years ago. Generally, big name hotels won’t get a lot of love from me. They are what they are. Bed, TV, Shower, relatively clean or safe. Some have a bit of a look to them that makes them interesting. This was probably our favorite find while traveling. Located just a mile from the Superdome, it was cheap, and despite some negative reviews, we had a great experience. The hotel is located on St. Charles, which has a street car (hence the name) running down the middle of the street. It’s surrounded by many food and entertainment options. And the street car can take you right to Canal, dropping you off right at Bourbon St. It has high ceilings, which is more a southern style to deal with heat. And through Priceline it was cheap, at less than $60 including tax for the first night. We liked it so much, we stayed an additional two days, and had the room for less than $50 for a return rate. The only downside is the lack of parking. You must find a spot on the street, which was usually about a block away. This was a complete surprise. We were planning on attending the Titusville-Greenville game on Friday night and also wanted to see two games further east of there on Saturday. But, finding a decent hotel was a bit of a problem as there isn’t much in that area of the country. To our surprise, we found the Caboose Motel, which is a series of 21 caboose rail cars situated right next to the Oil Creek & Titusville Railroad. Given that it was my wife’s birthday that weekend, she loved the idea of sleeping in a train car that’s been converted into hotel rooms. It wasn’t that cheap, though at almost $90 and it’s in an industrial area on all sides with the railroad and a primary truck route from the factory next door. It was a great time, though spending the day in Titusville and seeing Drake Well and then seeing the game at Carter Field, the high school home field of John Heisman. The only knock against the stadium is the large warehouse that looms over the home side of the field when sitting on the visitor side. This was the afternoon before arriving in New Orleans. Good price, but they get you with an additional resort fee that adds to the overall cost. It is a great room, that’s almost to the level of a suite for less than $60. Again here, we managed to win a little money. I think overall we came out $30 ahead of what we went in with. Their buffet, though, wasn’t the best. Which was a disappointment as I love southern gulf/cajun/creole foods. This was a good find. Wanting to see the Death Valley Bowl in Stanford on Friday and then the Rec Bowl in Mt. Sterling on Saturday, we were thinking of driving up toward Lexington to find a hotel as Stanford is a very small town. However, the lone motel turned out to be one of the best rooms of the season. Decently priced in the low 60s, it was a great room with a great memory foam bed. It also let us check in before the game, get something to eat, and then head to the game rather than just killing time somewhere before the games. Located only 1.2 miles from NRG Stadium was about the best thing. It was next door to a Whataburger and was relatively easy to get in and out of despite being on a very busy intersection. The price wasn’t that bad, high $50s, but it is what you pay for. Bed was horrible, but the room was clean with a fridge and microwave. If you travel a lot, this is one of my favorites. Usually can get pretty cheap through Priceline well below their listed price, and just a home away from home. Twice I’ve stayed at the one in Dearborn, Michigan and this year also in East Syracuse, New York. It’s basically a small apartment. The stay in Syracuse was great, especially with my wife staying in the room one morning and then calling it a night early from the Carrier Dome on Saturday. Not too far a drive from the university, either. This place disappointed me. Rated at 3 stars, the only great thing is the view of the atrium and pool area. However, the room, on the fifth floor, was absurdly warm and the old thermostat just couldn’t get it down as cold as I’d like it. With the balcony and sliding doors, there was an everpresent chlorine smell from the pool. And, there was no fridge or microwave. The bathroom, too, was something you’d find in a $40 hotel. And, aside from the Caboose Motel, this was our most expensive stop of the year at almost $90. Just a let down. There’s a lot of different options around the country depending on your tastes. I tend to love Cajun/Creole, Indian, Seafood/Sushi/Calamari, and Barbeque. Mostly Texas BBQ over Carolina, Kansas City, or Memphis BBQ. So, here’s the places I remember from this year. In no particular order. If you go to Kentucky, you have to stop here if you love fried chicken. It’s so much better than KFC and generally cheaper, as well. Their sweet tea is also some of the best you’ll find. Though they tend to be very stingy with it, requiring someone else to refill your cup. Otherwise, no matter where you stop, this is a good regional chicken chain. Of all the Culver’s I’ve ever stopped at, only once was I disappointed. My wife loved this place. The Pot Roast Sandwich was her favorite order. While I got the Pub Grinder Burger, their special at the time. As well as their Frozen Custard that alone is worth the stop. Based out of Wisconsin, there’s a few in Columbus and suburban Detroit, but otherwise ubiquitous in Iowa, Illinois, and Wisconsin. If you have the choice, there’s no reason to stop at a McDonald’s or Burger King if there’s a Whataburger around. It can be a little pricy, but to me it’s worth it. The Double With Cheese, with mustard and onions is my staple. It’s only topped by In-n-Out for quality. Their Fiery Buffalo Chicken Tender Sandwich was good, too. Given that it was next to our hotel in Houston, we’d stop before and after the games to avoid spending much at the stadium. I knew nothing of this place when we stumbled upon it just after noon on Royal St. They serve a daily Jazz Brunch Buffet that’s a bit pricy at $30/each. However, it is definitely worth the price. The Crawfish Louise may be my new favorite food. I’ve had nothing like it. And that wasn’t all they had. The Jumbalaya, shrimp, and various other meat options were great. And sitting in the courtyard under the tree canopy with a live band was just extra. Total meal with tip was $80 but if you’re in New Orleans, you have to stop. I know I’ll be back. This is a small chain that’s growing, but appears to be located primarily near large cities or college campuses. It’s all-you-can-eat. You get a bowl, get what you want, add your sauce, and they cook it on a 600º grill. Food was great, and mixing and matching stuff to get the right flavor is a fun endeavor. This was a surprise. It’s a hole-in-the-wall restaurant akin to Chinese takeout, but this was Indian and it was some of the best Chicken Curry and Chicken Tikka Masala we’ve ever had. The place is nondescript, but the food is amazing. With a 4.2 rating on Google Maps, it greatly exceeds initial expectations. Driving west across US-90 from New Orleans to Lafayette, I was going to stop at a Po’Boy shop I knew southeast of Lafayette. But, we started looking for other options, and stumbled on a few located in Lafayette. Including this small place called Old Tyme Grocery garnering a staggering 4.7 rating. Located as part of a corner store, you order your food at the register and have your option of all the bottled or canned drinks in coolers. As well as snack cakes, et al. I ordered the Old Tyme Special and my wife had the Meatball, since while pregnant deli meats were out for her. Her’s was a tad spicy for her liking. However, I think my Po’Boy was one of the best non-seafood Po’Boys I’ve ever had. If you’re ever in Lafayette near the University of Louisiana at Lafayette, you need to stop. Our first meal in the Pelican State was a good one. Overlooking the marina, the place serves a lot of seafood. We had calimari to start and then I had an Oyster Po’Boy, which was tremendous. It was huge, too, for the $13 price. My wife had the Shrimp Platter, with about 20 breaded shrimp. The only knock was that their key lime pie, though possibly homemade, was nearly frozen solid and overpriced. But, the seafood is the draw and well worth it. This is a must-stop when you’re up in the Allegheny Mountains. Combining a Sheffield and Elk County Catholic game in the same trip, Kane is a logical stopping point for a between game meal and Texas Hot Lunch delivers. This year, their chili fries were a bit of a let down, but their burgers were great. It has a 4.3 rating, and has been well-earned. Twice, we’ve eaten here this season. It’s a great, cheap restaurant located next to Perkins Field in Bridgeport. Regardless what you order, the food is great, and the prices are amazingly cheap. Their sweet tea is great, as well. As with last year, I’m not really sure what the plans are for next year. Most schedules aren’t out, though a lot of the playoff games are getting set in association calendars. We’ll be first time parents near the end of March, and that will most definitely alter any plans I would make. So, for now. We just plan on seeing local games and locations or stadiums we’ve yet to see before. If the Texas games return to AT&T Stadium, we both want to make the trip. But, if they’re in NRG Stadium as they were this year or at Alamodome (where I saw the 5A games in 2009), we’ll probably opt not to go. We would like to see the games in Indianapolis next season and a trip to Syracuse wouldn’t be bad if the temperature is decent in August. Pennsylvania title games will be a week earlier and have six games. Temperature would be the biggest consideration. Same with Ohio or West Virginia championships. For a change, we may venture out to California for the CIF Bowls in Sacramento and have an opportunity to see my sister in Los Angeles. One of my bucket list games is attending one at Monument Valley early in the season so the sun is up longer. That would cut into a bit, and I’d want my child to be old enough to experience the trip. Which is another consideration in all of this. Wherever we wind up this year or how things go, I’m sure we’ll be somewhere having fun together. Be it at a game or not. Hope you’ve enjoyed reading and have a Happy New Year.